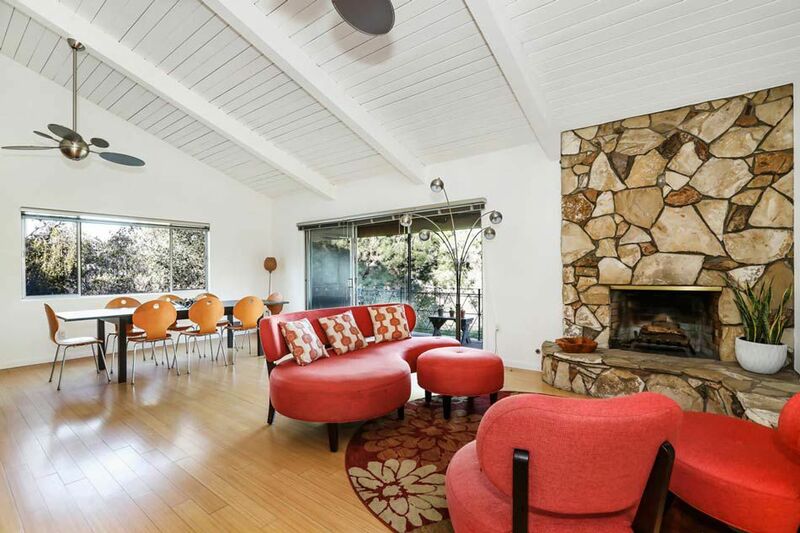 Situated in the leafy San Rafael Hills, this tranquil mid-century gem with a swimming pool is the epitome of stylish SoCal living. 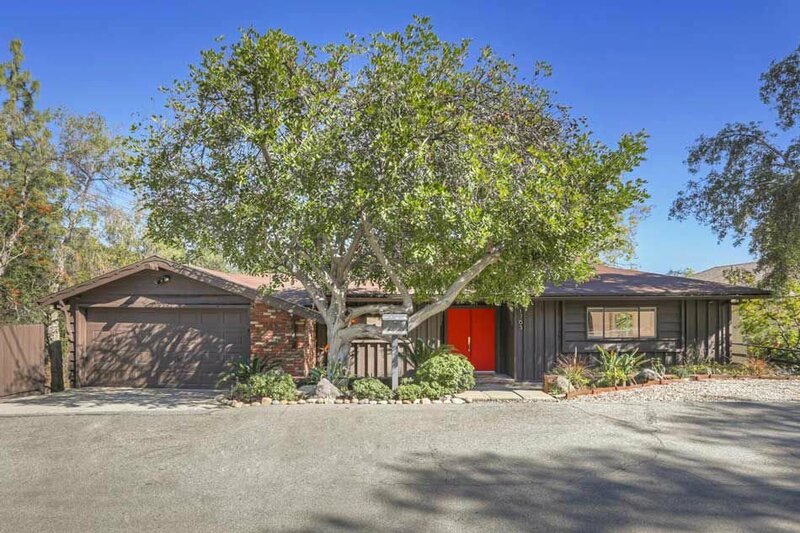 The beautifully-maintained residence was built in 1959 and abounds in iconic mid-century motifs including vaulted beamed ceilings, sliding glass doors and geometric metal railings. The light-filled great room presents a stone-clad hearth, and opens to a breezy patio offering lovely treetop views. The kitchen has wood cabinetry, stainless appliances and a full-height tile backsplash. Head downstairs to a bright den with seamless flow to a poolside patio. Three bedrooms include the ensuite Master with a walk-in closet and direct patio access; a handy bonus space will make a nice office or home gym. The sun-splashed yard with a shimmering pool is your blissful spot to relax and entertain. There is central heat+air and an attached two-car garage. Nearby dining options include Little Flower, Amara Kitchen, Little Beast, Found, and Eagle Rock Brewing Company.